On this day in Duluth in 1921, John Weismuller of the Illinois Athletic Club defeated Norman Ross, the world-record holder in the 100-yard swim, swimming the distance in just 55.2 seconds. Weismuller also won the 5-yard event, in which Ross came in fourth (Ross easily won the 880-yard swim). Swimmers representing the Duluth Boat Club finished strong in all events but only won one race as Frances Holman won the women’s 100-yard Central AAU title. The events were part of the Central Amateur Athletic Association’s annual meet. 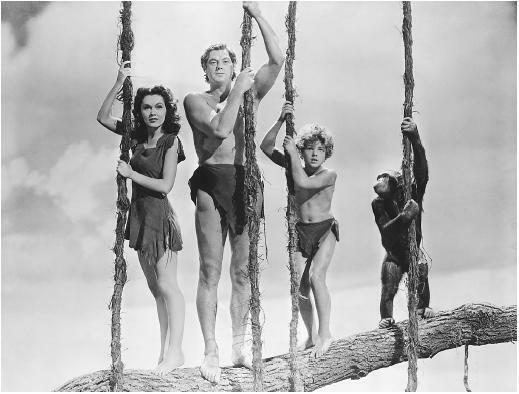 Weismuller would later become famous as Johnny Weismuller, who portrayed Edgar Rice Burrough’s “Tarzan of the Apes” in a dozen movies made in the 1930s and 1940s. Though best known for those movies, Weismuller had an impressive swimming career. According to his biography, Weismuller “was one of the world’s fastest swimmers in the 1920s, winning five Olympic gold medals for swimming and one bronze medal for water polo. He was the first to break the one minute barrier for 100-meter freestyle, and the first to swim 440-yard freestyle under five minutes. He won fifty-two U.S. national championships, set more than 50 world records (spread over both freestyle and backstroke), and was purportedly undefeated in official competition for the entirety of his competitive career.” The event was held at the Duluth Boat Club, and you can read the history of that organization here.